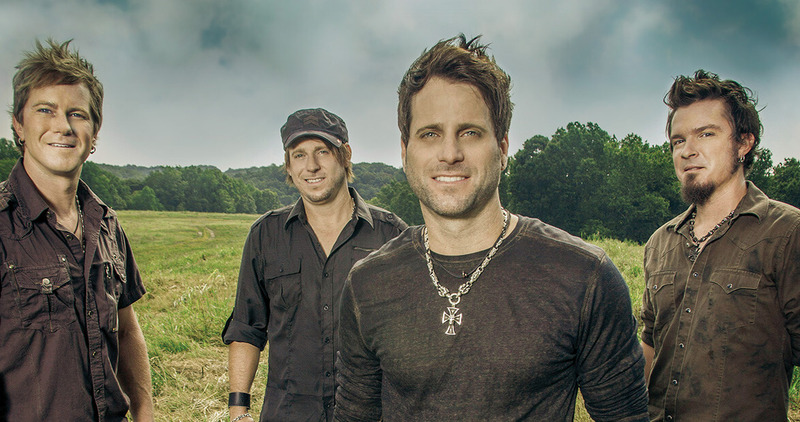 With several consecutive hits on country radio, including “Carolina” and “Already Callin’ You Mine,” homegrown band Parmalee is establishing itself as a beloved national act. We chat with lead singer Matt Thomas about the group’s North Carolina roots and newfound success ahead of its homecoming concert at East Carolina University. Q: You’ll be headlining a homecoming concert at East Carolina University (ECU) on November 21. Since you went to school there, what are you looking forward to about the show? A: It’s great. We played in the downtown area [of Greenville] a lot through the years. That’s just been a dream. We’ve always wanted to bring a big show back to Greenville. We had this party we put on every year called Uncle Ron’s Party. Basically, for as long as I can remember, towards the end of the summer, we’d have a big old party at my uncle’s house. We’d invite everybody. It was all free, and we’d cook three or four pigs and just have a big concert and party for everybody. We’d always have it every year, and it just got to be too big to handle. We wanted to keep it going and keep having a party for everybody … This just made sense where we are now in our career, so we tied that into ECU. They asked us to come play. It’s pretty much just something we’ve dreamt of doing our whole career. Q: Your 2013 breakout hit “Carolina” is a love song, but features a prominent lyrical nod to your home state. What inspired you all to write it? A: The song is all about home and how, when you come back home, people you love can make you feel like you’re home no matter what. Basically, we’re just gone all of the time. You miss all of the birthdays and family reunions and special events and moments … We had just been out in California for a couple of months. The studio reminded me of California, but when I walked outside, something about it felt like home. We took that idea and parlayed it into a relationship song. Q: When you’re on the road, what do you miss most about North Carolina? A: The beach. I got to say the beach. Nashville is landlocked, so I just get a different attitude when I see that water. There’s something about knowing you’re only an hour from the coast. It’s just a good feeling. Q: You grew up near Parmele, North Carolina, which served as inspiration for your band name. Could you paint a picture of the town for me? A: (Brother and Parmalee drummer) Scott and I grew up in Robersonville, which is two minutes east of Parmele. Imagine one crossroad, an orange flashing light, and one little white store on the corner with a fence behind it with a bunch of junk cars. That’s it. The barn that we practiced in is behind that white store in the backyard of this house. Nothing much to it, but it has good people there. There is a spot where the train can turn around in Parmele. It’s our claim to fame. Q: Nashville, Tennessee, must feel like quite the change of pace. A lot has changed since you all practiced in that barn back in the early 2000s. Your three latest singles have taken off on the charts. What has all this success felt like? A: It’s just a whole different ballgame, but it’s pretty amazing. If we could’ve talked to ourselves four years ago and said, “Hey, get ready. This is going to happen,” I don’t think we would’ve believed it. We were always like, “I’ll believe it when I see it,” and I still feel that way. It’s really awesome to be a part of this whole thing. Q: What can your fans look forward to in the coming months? A: Well, we’re continuing to tour. We still have 20 or 30 more dates left this year. We’re writing new material, recording stuff. We’ve got some great new songs on the burner. Blue Ridge or the Outer Banks? A: Josh (guitarist) would probably say the Blue Ridge Mountains because his mom lives in Flat Rock and he grew up closer to that. Barry (bassist), Scott, and I would definitely say the Outer Banks. That’s home for us. We used to go fishing in the Outer Banks with my grandmother when I was a kid, so that’s an awesome spot. A: I’ll go with Eastern-style because I love it and I’m from there. Josh will go with Lexington-style. He’s representing western North Carolina. Earl Scruggs or James Taylor? A: Josh would say Earl Scruggs. I’d say James Taylor just because of his songwriting. I think Scott would say James Taylor. Barry, he might say Earl Scruggs.